A male black-chinned hummer. When fully mature, he will sport iridescent blue or purple chin feathers! They dance, flit, whiz and hover. The big one darts ferociously but the small one stands his ground at the feeder. These tiny birds make a person tired just watching them dance around their food. It seems as if they spend more time and energy picking fights than drinking nectar. 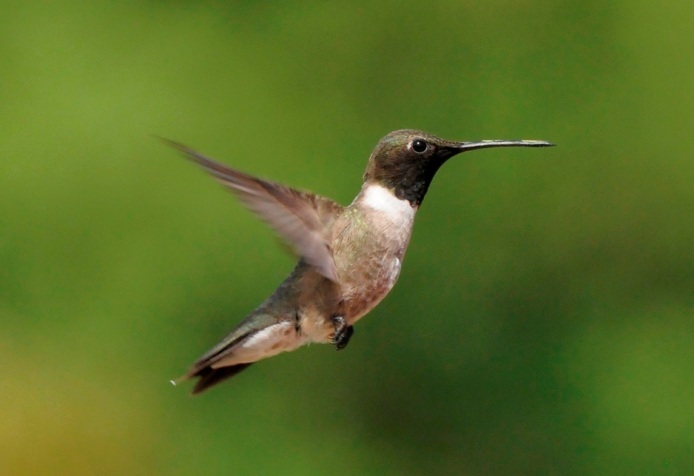 One might think if they weren’t so competitive, hummingbirds could survive on much less sugar. Perhaps if they didn’t scrap with one another, the little giants could live longer, raise more babies or more successfully fulfill the life purpose of hummingbirds. On this day in early April, north Texas is having a spell of weather, a setback hearkening to the winter we almost missed. It is chilly, drizzly and gray and the hummers are nowhere to be found. I miss their flashy show. I will admit the dance is the primary reason I buy feeders, hang them, clean them and take the time to boil up sugary water all summer. Oh, I’m doing my part to help the birds but would I go to so much effort for the boring brown sparrows? And if all that feisty dancing is what gets me to feed them, is it really wasted effort? Pretty smart little fellows, I think. This entry was posted in Short Takes on Life and tagged birds, black-chinned hummingbirds, Canada, Central America, hummingbird feeders, hummingbirds, Mexico, migration, nectar. Bookmark the permalink. exposed to the April chill. Gotta love for hummers! Great Post. We are sharing the April chill with you right now. Nice rhyme, Carole. Thanks for following!